Hey all you start-ups, entrepreneurs, freelancers, sales reps, real estate agents, business founders/owners, and remote workers, did you know you can write off your coworking expenses? Yay! The tax Benefits of using coworking businesses can be profound and beneficial come tax time. According to the Freelancers Union Blog “A monthly coworking space is an easy, 100% tax-deductible way to claim an office without doing the math on how much those 3 square feet of your apartment that you work in is worth.” The IRS has fairly strict guidelines about writing off your home office space. No more measuring your office space and filing out endless forms. Definitely a valuable perk in utilizing a coworking space like The Works – Gilbert. According to 1800accountant “If you use a co-working space as your office you can you can include the cost as an unreimbursed employee expense on Schedule A of Form 1040” If you are a remote worker and utilize a co-working space make sure you get reimbursed from your employer and write it off on your taxes. Turbo Tax says that you may use the IRS’ two percent rule which states that you may claim the amount of your expenses that exceeds two percent of your adjusted gross income. Additionally, a 1099 employee can treat the payment for a shared workspace as “Rent” on the Schedule C for the self-employment income from your Form 1099-MISC. It is a good idea to talk with your accountant to get the most up-to-date tax relief benefits and don’t forget to keep track of all your coworking expenses ie: membership fees, conference room expenses, printing or attending a yoga class . Remember you cannot write off the commute to the coworking space or personal meals. If you need any of your invoices or receipts from The Works – Gilbert printed just let us know! Email [email protected] and we can print them for you, we are here to help. Just 2 more reasons why coworking is the place to build your business. 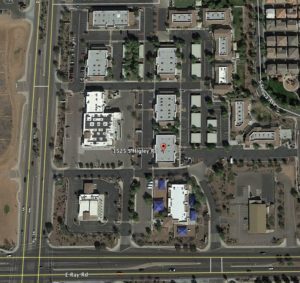 ← Why coworking in Gilbert, AZ? The Works - Gilbert provides membership based coworking space to today's professionals. An affordable, collaborative, and flexible space with plenty of support (and coffee).....without the burden of long-term leases, distractions of a home-office, or spending your work-life in a sea of cubicles. © 2018 The Works - Gilbert. All Rights Reserved.